A Better Driveway adds value and street appeal to your home by transforming large property features into design elements. From entries and footpaths to driveways and pool decks we bring your home improvement dreams to reality. With attractive and functional treatments the result can be welcoming or dramatic … it’s up to you. Our flexible options harness form, shape and space to express your style and complement your home’s architecture. Rest assured you’re investing in a long lasting, low maintenance solution that will give you back your weekend. A Better Driveway has solutions for most budgets that won’t see you compromising quality over cost. A Better Driveway guarantee to provide a detailed quotation with accurate cost estimates for every project element and a firm overall price. Try finding that elsewhere. A Better Driveway guarantees our customers a professional, reliable and stress-free project. Should we fail our same day return call promise, we’ll pay you $100. We’d be delighted to provide fine dining for two if your whole customer experience isn’t positive, smooth and easy. A Better Driveway guarantee a high quality professional job conforming with Australian Standard 3610 – Formwork for Concrete. 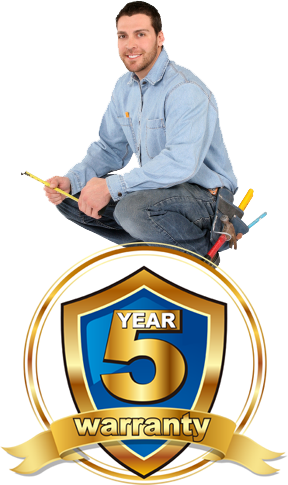 Not only that, we guarantee the structural integrity of your concrete for 5 years under normal use. Actually, A Better Driveway will probably last a lifetime!